A U.S. regulatory filing for a Bitcoin investment trust from the Winklevoss twins said they will protect the virtual currency like gold bars—in vaults. Cameron and Tyler Winklevoss, famous for their early association with Facebook, are selling the trust as a way for institutional and retail investors to invest in bitcoins without dealing with the hassle of exchanges and the thorny security problems around storing bitcoins. The goal of the fund centers on an anticipated appreciation if bitcoins become more widely used as a means for exchange. Some businesses are using bitcoins, but volatile exchange rates and regulatory issues remain a concern. In a 74-page document filed with the U.S. Securities and Exchange Commission on Monday, the twins write they will use a network of secure vaults around the U.S. to store their investors' bitcoins. Their company, Winklevoss IP, owns intellectual property related to patent-pending technology that will be used by the trust, the filing reads. That includes what is described as a "proprietary security protocol." A bitcoin is essentially a secret number that can be transferred to another computer using public-key cryptography. 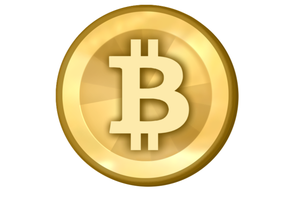 A bitcoin has a private key that if unencrypted allows the coin to be sent to another computer using peer-to-peer software. A bitcoin transaction is seamless and fairly quick, but since the private key is often stored on a person's computer or with a web-based service, hacking remains a real risk. Some bitcoin enthusiasts have written private keys down on pieces of paper in so-called "offline" wallets. But losing a private key to a bitcoin means that it can never be used and is lost forever. The long list of risks highlighted in the SEC filing shows that an investment with the twins' trust is only for those with steely nerves. And they make no guarantee that the security system will be able to thwart hackers. The trust's sponsor, Math-Based Asset Services, which is owned by Winklevoss Capital Management, is not liable for losses due to "failure or penetration" of the security system, absent gross negligence, fraud or criminal behavior by the sponsor, the filing reads. Also, the people responsible for the day-to-day administration of the trust "will also not be liable for any system failure or third-party penetration of the security system." They also anticipate their trust "may become a more appealing target of security threats as the size of the trust's assets grows." The warnings may not put off people familiar with bitcoin, which has made a handful of people who bought in after the system launched in 2009 very wealthy. Many others, however, have racked up losses after buying bitcoins during a rapid, speculative rise to $260 per coin in April before falling as low as $56. A single bitcoin sold for around $90 on Tuesday, according to the largest exchange, Mt. Gox in Japan. The Winklevoss twins told The New York Times in April that they held as many as 1 percent of all of the bitcoins in circulation. There are about 11.3 million bitcoins in circulation, putting their holdings conservatively at $9 million today. According to their plans, the trust would offer "baskets" of shares, of which each share is comprised of one-fifth of a bitcoin. The baskets would be redeemed in blocks of 50,000 shares based on an average bitcoin market price calculated from exchanges.